A man in his 30s has died after being shot multiple times in the upper body while in a restaurant in Montreal's Little Italy neighbourhood. 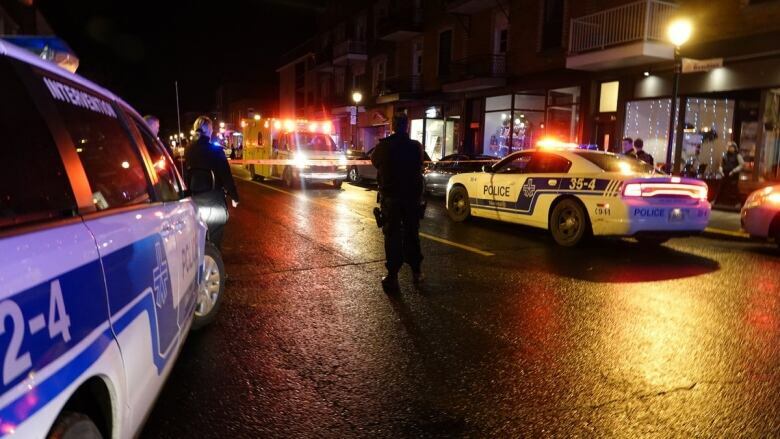 A man in his 30s has died after he was shot multiple times in the upper body while at a restaurant in Montreal's Little Italy neighbourhood Tuesday night. It happened just after 9 p.m at Café Cubano on Beaubien Street East near Casgrain Avenue. Police say the victim was unconscious when officers arrived at the scene. He later died in hospital. It is the 25th homicide in Montreal this year. "We don't have the exact age because the victim didn't have any pieces of ID on him," said police spokesperson Const. Benoît Boisselle. Witnesses told police that one or more suspects fled in a vehicle down an alley after the shooting. Boisselle said police are searching for at least two suspects. Beaubien was closed between Casgrain and de Gaspé avenues while police investigated, but the street has since reopened.